Let’s not kid around: The Flowtron BK-15D is the absolute best mosquito trap out there. At least, from my personal experience. 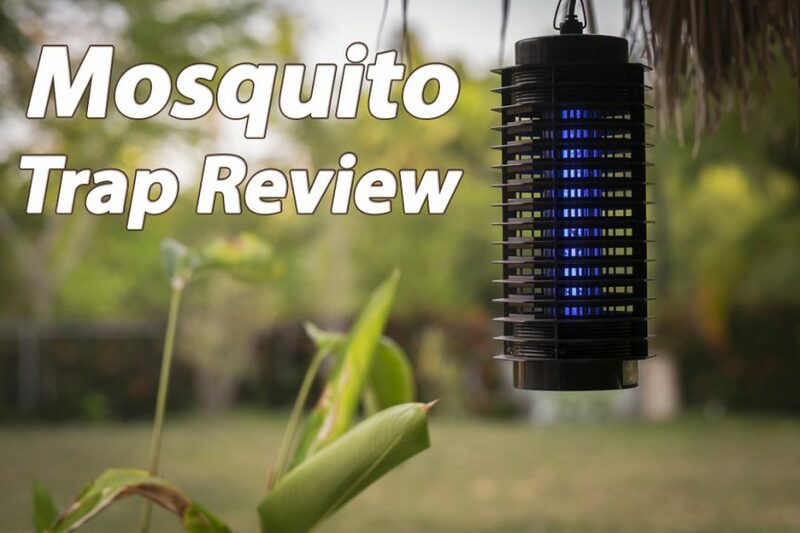 After many hours of testing for this mosquito trap review, the amount of insects I have caught with this machine is impressive, to say the least. But I’m not alone in this experience. I mean, just look at those customer reviews! Responses to this mosquito magnet are overwhelmingly positive (and for good reason). This is a weapon of mass destruction when it comes to catching annoying insects around the house. Or actually, it’s more of a weapon of ‘mass seduction’, because it will attract and gobble up all sorts of flying insects. Outside use of the Flowtron mosquito trap is mandatory, because that’s where it is most effective. And to be fair, the machine has some minor shortcomings. Let’s get into the meat and butter of this product straight away. If you’re on a tight budget, there are plenty of options in terms of insect traps and magnet machines. But there is only one machine that shines brightly above all the others: In terms of price, performance and overall looks. I’m talking about this Flowtron BK-15D mosquito trap. For about half the money of other popular mosquito traps, you can achieve insect-catching results that are equally impressive! More detailed product advice can be read in the digital manual right here (PDF). I cannot stress enough that this device is a mosquito attractant: If you put it too close to your home or patio, you’ll actually have MORE insects. That’s where almost all of the negative reviews come from. Uninformed people that cannot understand the basics of a wonderful machine like this. You do NOT place it near your house, it’s an OUTDOOR device that needs enough space for the insects to move away from you. Do be aware you can’t place this device on the ground. You’ll need some way to hang it up, since the bait cup is on the bottom. The easiest way is to get a sturdy hanging basket bracket like this. Screw it to a wall or fence, or anything that supports a tiny bit of weight. The device is not thát heavy. I probably gave you something too sturdy here, but you can never be too sure. The Flowtron devices come with one small octenol lure (also known as mushroom alcohol). These will need to be replaced after a few weeks, for which you are going to eventually require a replacement octenol bait. Depending on your location (or species of mosquitoes) you might need to adjust your baits for optimal results. Of course, you can also test to see what kind of results you get without baits. And it goes without saying that the Flowtron mosquito killer needs power at all times. What works best is if you get yourself an extension cord for outdoor use. Your outdoor Christmas lights cord set-up would work just as fine here, just make sure the device has enough juice! At first, I thought nothing would happen, almost leaving disappointed. But after running it for some time, something magical happened… There were about a dozen or so dead mosquitoes in there. I was as excited like a kid in a candy store. After a while, the results improved, and just a few weeks in (during mosquito mania season) the entire device was clogged up with heaps of mosquitoes. Amazing success! Includes light bulbs, octenol bait and clear instructions. Weather and rust-proof, but best used away from wind. Especially if you have a small garden or are simply looking for a quick solution, the Flowtron BK-15D could be the correct solution for you. It’s a great idea to try this machine before the slightly more powerful DynaTrap, since it won’t be that much of a cost burden. If you check the current price on Amazon, you’ll see that this Flowtron insect killer will not put a dent in your wallet at all. While the Flowtron BK-15D might be the most affordable outdoor mosquito trap, the most powerful option (with much better range) is it’s upgraded version: The monstrous mosquito trap called Flowtron BK-80D. It’s the 80-watts bigger and better beast-mode version of the original BK-15D, which is cute in comparison to this machine. If you want to have the absolute best performance for long range (of up to 1.5 acres of reach), this bigger and better version will be the right choice for you. It all comes down to how much space you have in your yard. If you own a farm or want to protect your pool guests long-term, the choice is easily made. Especially considering the relatively low cost for this insect killer. It’s not like you are making an impressive investment here. It’s an affordable garden utility product! If you’re feeling like meeting in the middle in terms of insect destruction, you can also opt for the Flowtron BK-40D, which is basically the Medium-sized version with a reasonable 15 Watt light bulb. The BK-40D is able to cover up to 1 full acre of land, which is perfect for a decent-sized garden. Flowtron vs. DynaTrap: A Good Alternative? A good alternative to the Flowtron anti-mosquito devices, is this powerful DynaTrap mosquito magnet. The DynaTrap brand is one of the larger competitors to Flowtron. Their products are amazing, but a bit more on the expensive side. Personally, I’ve had the honor to use a DynaTrap DT2000XL for a while, which was my mosquito magnet of choice before meeting the much more affordable Flowtron devices. No refills for attractants required (making use much cheaper). Just like their main competitor, the DynaTrap is odorless and doesn’t use any type of chemical or pesticide. It will also avoid the use of smoke or other mosquito deterrents. Please note that indoor use is an option, but not preferred. I’d recommend you to read my final recommendation for an indoor mosquito trap in the last part of this article. Personally, I find the Katchy-devices much safer for use inside the house. These are also much less expensive and more elegant-looking, by the way. If you’re ready to turn your mosquito-infested garden into a heavenly place of peace and quiet, you can check out the product details for the DynaTrap DT2000XL right here. That way you can compare it to the Flowtron yourself and make an informed buying decision. 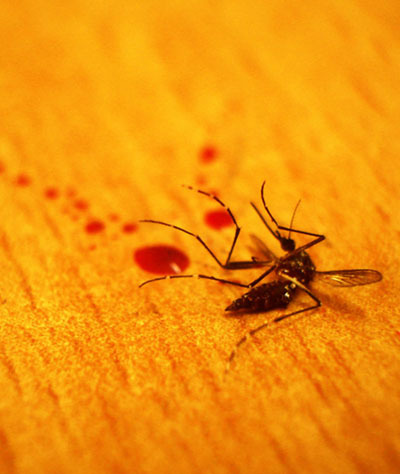 You might be reading all this and thinking to yourself… But I want to kill mosquitoes indoors! No problem at all, I got you covered as well. If you’re looking for an indoor mosquito trap, I’d not recommend going with the Flowtron ór the DynaTrap. Instead, you should go for this Katchy mosquito magnet. It’s a very safe, non-toxic machine that can be used indoors for any type of household. It’s a small, odorless and silent machine that will attract any bug or insect that might roam around in your house. It’s also safe to use for children or pets, so no need to worry about that either. Simply place it in your living room overnight and watch the mosquitoes vanish into thin air before you know it. The Katchy Insect Killer is pretty affordable for what it does. I’d recommend not paying too much attention to the negative customer reviews, mostly because these are people that fail to understand the purpose of a magnet. Don’t place it in a room where you yourself are, that will simply make your life worse! This seems to be a struggle to understand for most people.